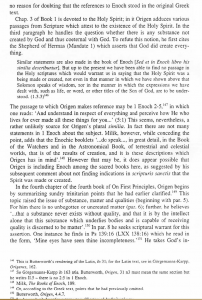 Chapters 12 and 13 jointly deal with the same subject matter: the sons of God episode in Gen 6:1-4 and the nephilim. Nevertheless, this site treats them separately. 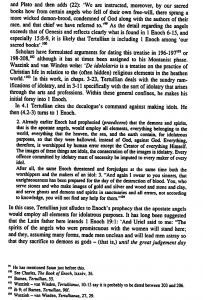 Note that the nephilim are linked to the giant clans of later biblical history (i.e., the era of the conquest). 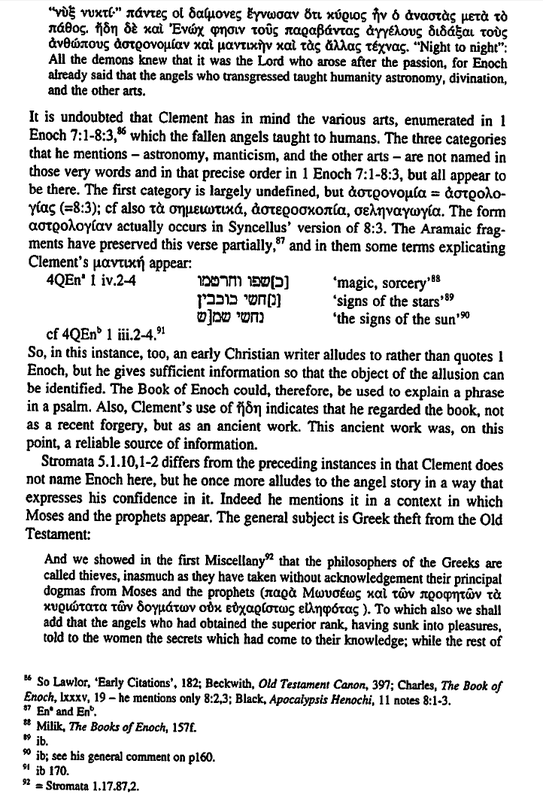 Discussion of the giant clans and nephilim connections are the subject of Chapters 23, 24, and 25. 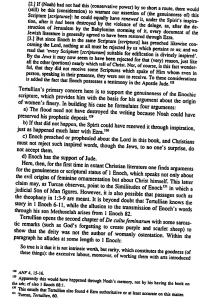 The focus of Chapter 12 is flawed interpretations of Genesis 6:1-4 and the fact that the New Testament writers Peter and Jude both presume a supernatural view of the episode. 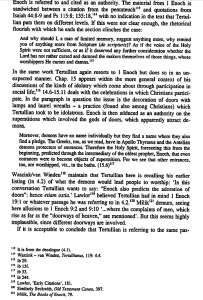 The ancient Near Eastern background of the passage and the meaning of the term nephilim are the focus points of Chapter 13. 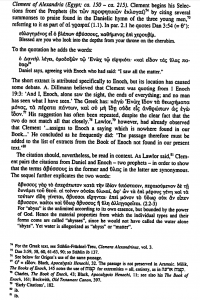 In my judgment, this is the most important article to date on Gen 6:1-4. It supersedes all work done on the Mesopotamian backdrop — work which frankly pales in comparison to the data that Annus brings to bear on the passage. 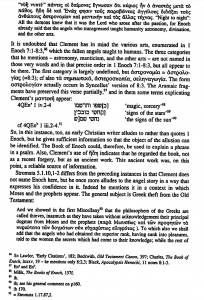 Annus shows with great clarity how the Mesopotamian apkallu traditions are the backdrop to Gen. 6:1-4 (and therefore the supernatural backdrop against which it was written and must be understood), along with how Second Temple Jewish writers comprehended the Mesopotamian backdrop. 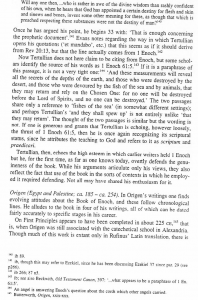 Subsequent Christian tradition (i.e., the church fathers) knew nothing of this backdrop, and so early church interpretations that produced the Sethite view violate the text’s original context. The same goes for other approaches that ignore the apkallu context. We are either going to interpret Scripture in its own context or not. See below on Kvanvig and Drawnel as well. In the myth of the fallen Watchers (1 En. 6–11) the giants, illegitimate offspring of the fallen angels, are depicted as exceedingly violent beings that consume the labour of all the sons of men. They also kill men, devour them, and drink blood. Finally, they sin against all the animals of the earth. The violent behaviour of the giants in 1 En. 7:2–5 continues in 1 En. 15:11 where the spirits of the giants attack humanity, thus it appears that the spirits behave in a manner similar to that of the giants. 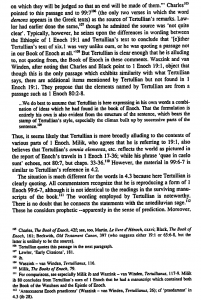 The present article argues that the description of the giants in 1 En. 7:2–5 and their spirits in 15:11 is modeled after the violent behaviour of the demons found in the Mesopotamian bilingual series Utukkū Lemnūtu. The giants, therefore, are not to be identified with the Mesopotamian warrior-kings, but their behaviour rather indicates that they actually are violent and evil demons. In addition to Annus, this is the major resource for thinking about the Mesopotamian context of Gen 6:1-4. 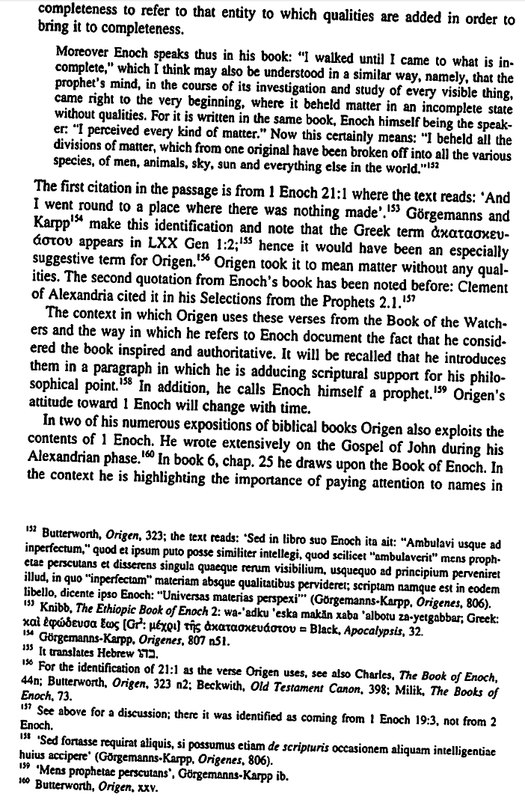 Any work on Gen 6:1-4 that seeks to defend a non-supernaturalist view and does not seriously interact with the treatment of the original context for the passage discussed by Annus and Kvanvig via primary sources can be safely ignored. 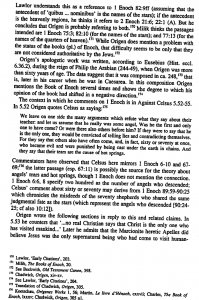 (1) The fact that the early church embraced a supernatural view of Gen 6:1-4 until the time of Julius Africanus and Augustine (whose lives overlapped, with Africanus preceding Augustine). 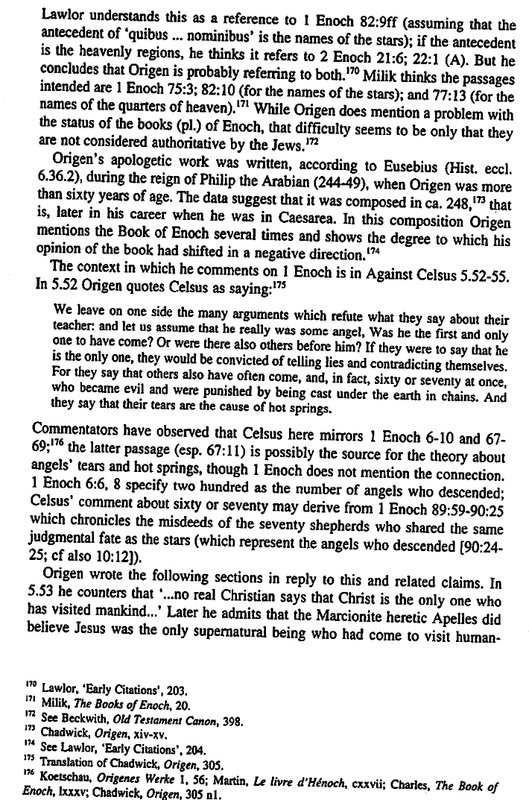 What is now called the Sethite view originated with Africanus and was popularized by Augustine, whose stature in the early church transformed the view into dogma. 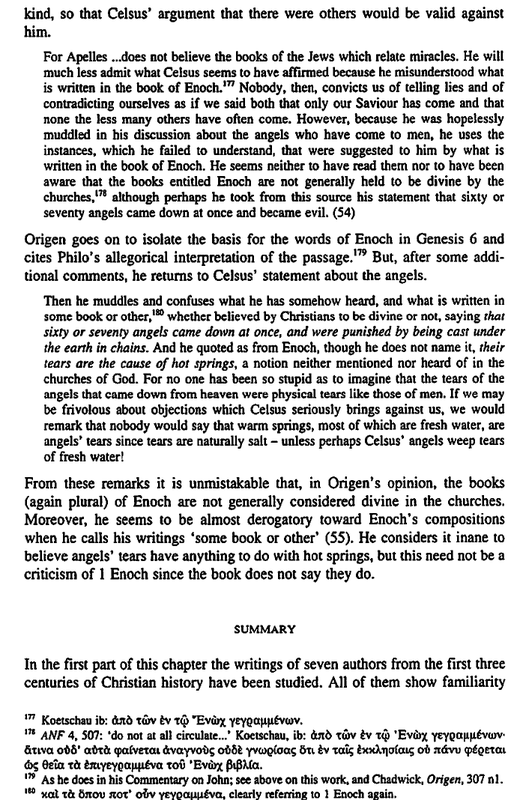 (2) Authorities other than (and earlier than) Augustine defended the supernaturalist view of Gen 6:1-4 in part on the Enochic traditions (1 Enoch) of early Jewish literature. These items need to be discussed in tandem. 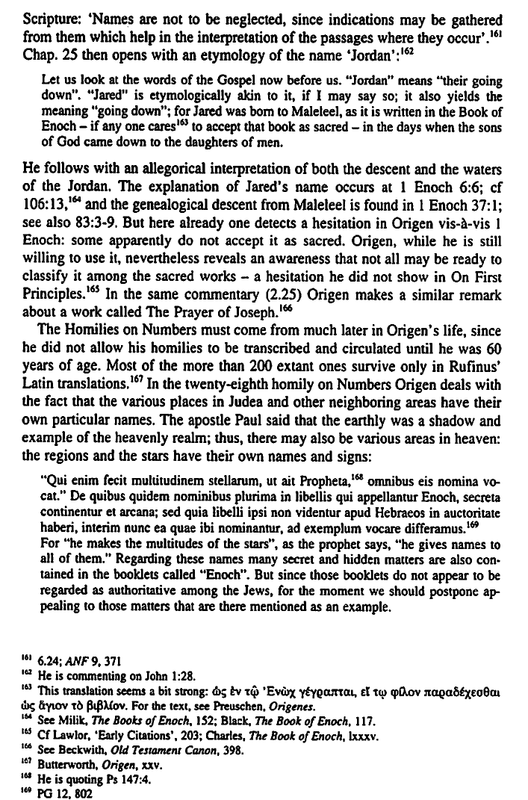 Augustine, like nearly all the church fathers, didn’t know Hebrew and had no access (linguistic or otherwise) to the primary source material from Mesopotamia that provides the original ancient Near Eastern context for correctly parsing Gen 6:1-4. Rather than belabor this obvious point, it is likely of more interest to readers to get some exposure to what early church leaders prior to Augustine. 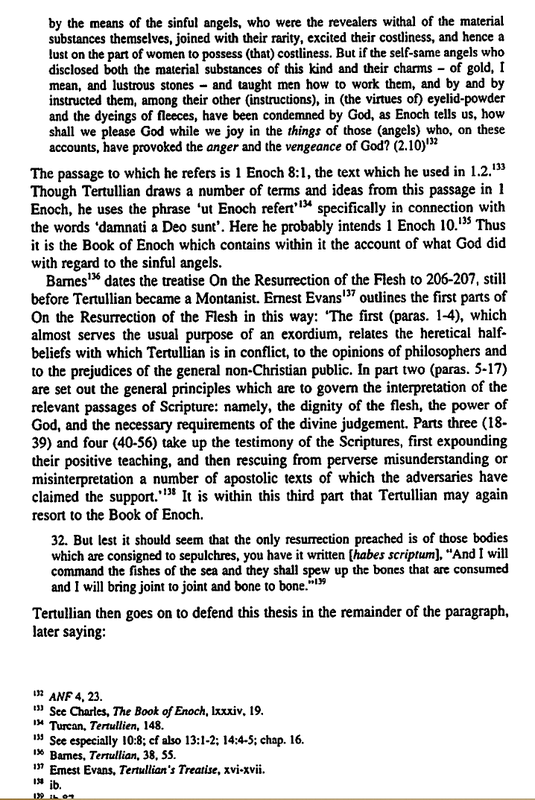 Augustine’s opposition to the supernaturalist view of Gen 6:1-4 that is found in the book of 1 Enoch was not based on exegesis (again, he neither knew Hebrew nor had access to other relevant primary sources). Rather, it likely stems from his opposition to Manichean teachings (a religious sect of which he was once a member that was an amalgamation of other religions, among them Christianity). 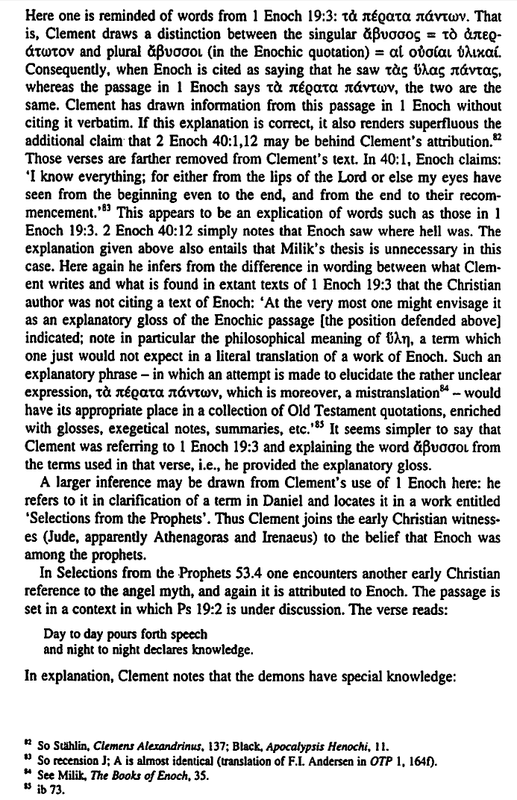 The Manicheans held 1 Enoch in high regard. 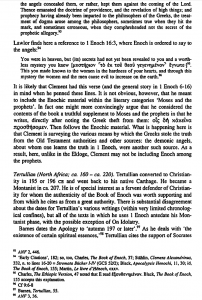 After Augustine rejected the sect, any regard for 1 Enoch was left behind. Earlier authorities in the church forcefully disagreed. 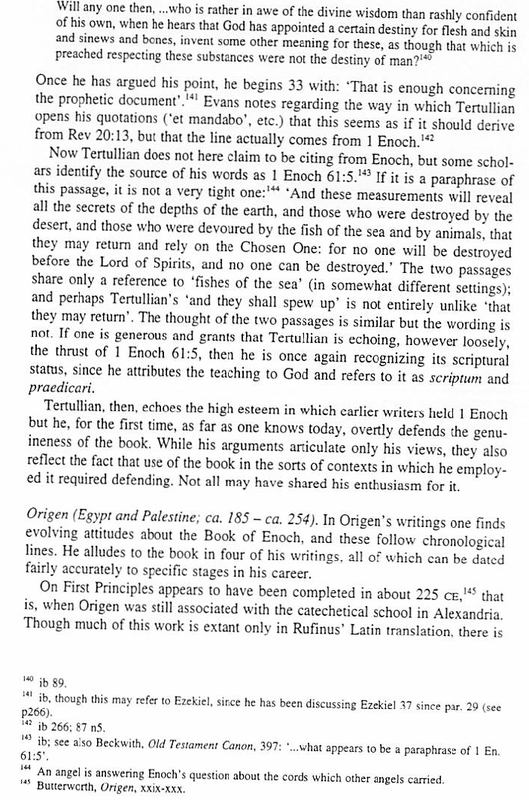 In early Christianity the authority of the Enochic scriptures was defended by influential theologians such as Irenaeus, Tertullian and Origen, although they knew that the authority of these scriptures was not recognised in all churches. 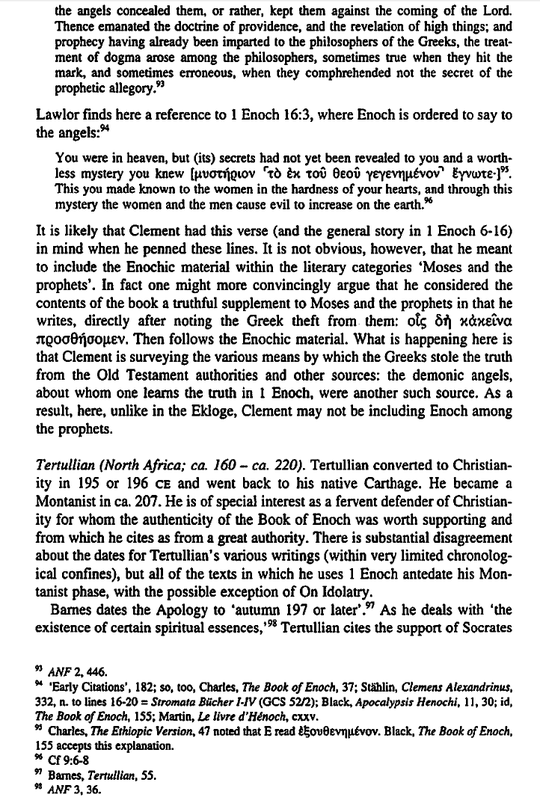 The authority of Enoch was then strongly denounced by Augustin [sic] in “the City of God”, which most possibly was one of the reasons why the book went out of use and was long forgotten in the western Church. Alongside these teachers of the early church is the vast majority who ignore or do not use the Enochic material or polemicize against it. 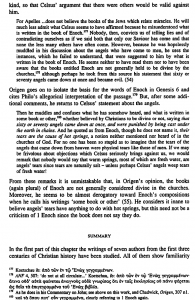 The first explicit evidence for the rejection of Enochic authority appears in Tertullian and Origen, who acknowledge that the texts on which they base some of their conclusions are not held in regard by a majority, perhaps, of the churches. The voice of some of these dissenters is heard in Hilary of Poitiers, Jerome, and Augustine. 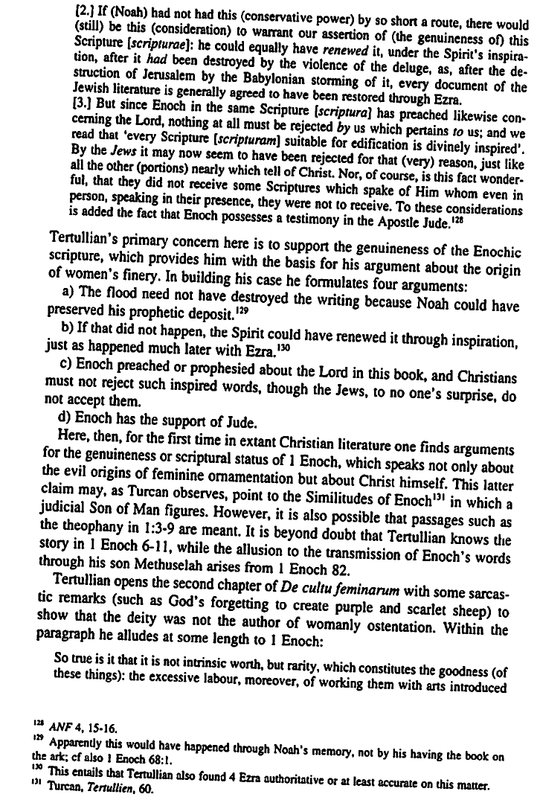 The note to a development in the priority of “Adam material” in regard to an explanation for depravity is especially interesting since the Old Testament never references Genesis 3 as the cause of human depravity. Instead, it is Genesis 6:5 that makes the sweeping statement about depravity. This is one reason why Second Temple Jewish literature lays the problem of evil at the feet of Genesis 6:1-4, not Genesis 3. In my view, this makes sense, though the result of Genesis 3 — human mortality / inability to holy / being driven from the presence of God — is certainly part and parcel of the human condition of needing salvation and being completely unable to merit salvation in any way. 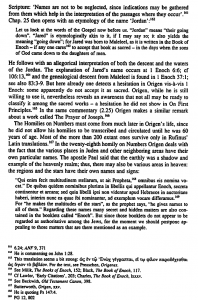 The letter of Jude is a work that makes homiletic use of the angel story. 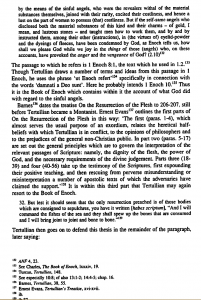 One of the central purposes of this epistle is to cite examples of how God had judged the wicked in the past, just as he will judge the writer’s enemies who are guilty of similar sins. As part of a series of examples he alludes to “the angels who did not keep their own position but left their proper dwelling.” God “has kept [them] in eternal chains in deepest darkness for the judgment of the great Day” (v. 6). 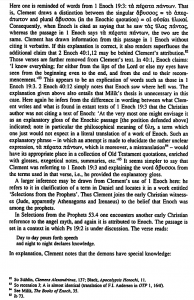 A few verses later the author quotes 1 Enoch 1:9, which he introduces with the words “Enoch, in the seventh generation from Adam, prophesied.” The quotation from 1 Enoch has to do with God’s coming in final judgment: “See, the Lord is coming with ten thousands of his holy ones, to execute judgment on all, and to convict everyone of all the deeds of ungodliness that they have committed in such an ungodly way and of all the harsh things that ungodly sinners have spoken against him” (vv. 14–15). Other early Christian authors found sundry purposes that the story could serve. Justin Martyr (died ca. 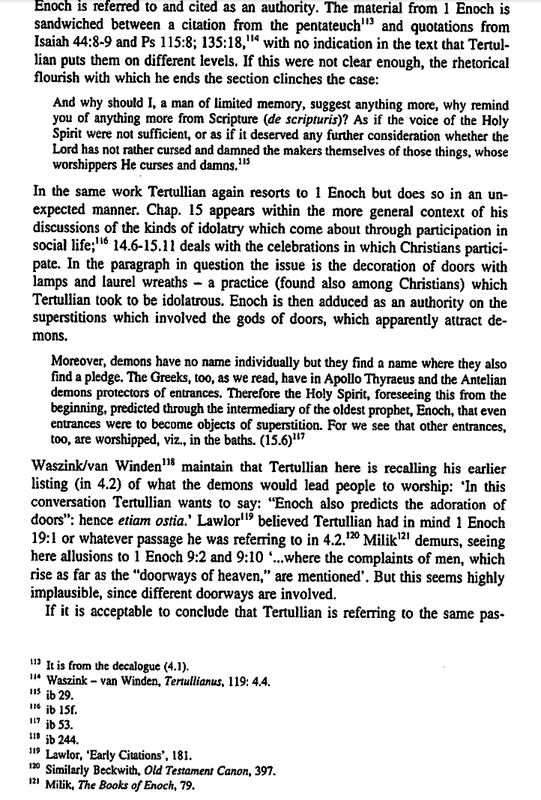 167 CE) appealed to Enochic teachings to show that non-Christian religions are errors produced by the demons who emerged from the giants’ bodies (in both his first and second Apology). 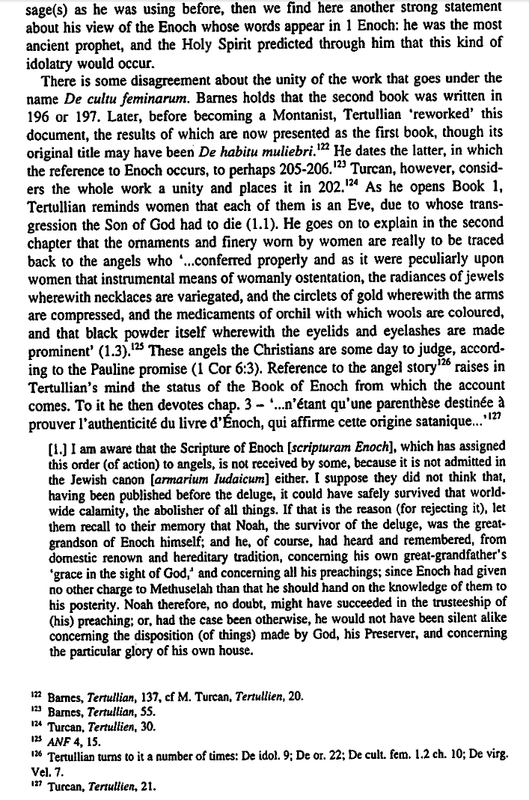 Tertullian, who composed a lengthy defense of the authority of the Book of Enoch, used it for various purposes, including as a source for his arguments against feminine ornamentation and makeup—arts taught by the angels in the Enochic story (On Prayer 20–22; On the Veiling of Virgins 7). 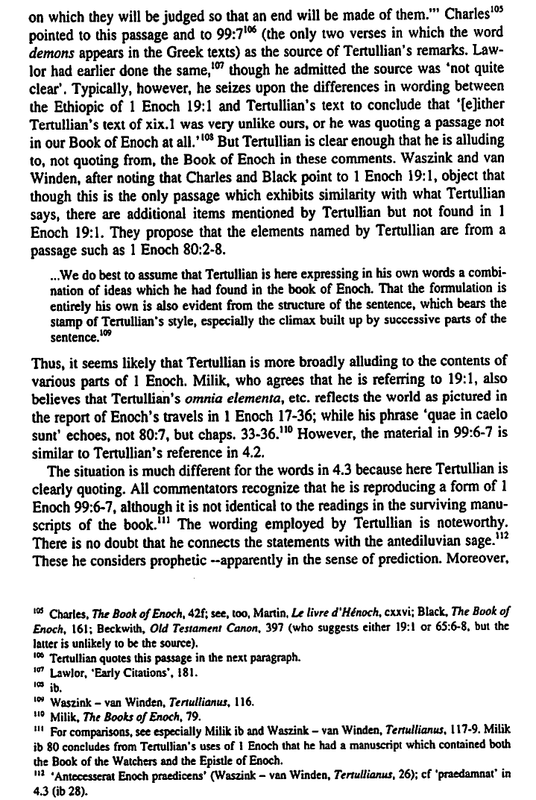 New Testament citations of material show only that such material informed their worldview and helped them articulate whatever point it was that they were trying to make in their own writings. 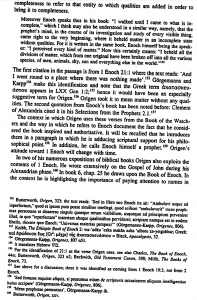 Peter and Jude read the Enochian material and embraced its worldview approach to Gen 6:1-4. 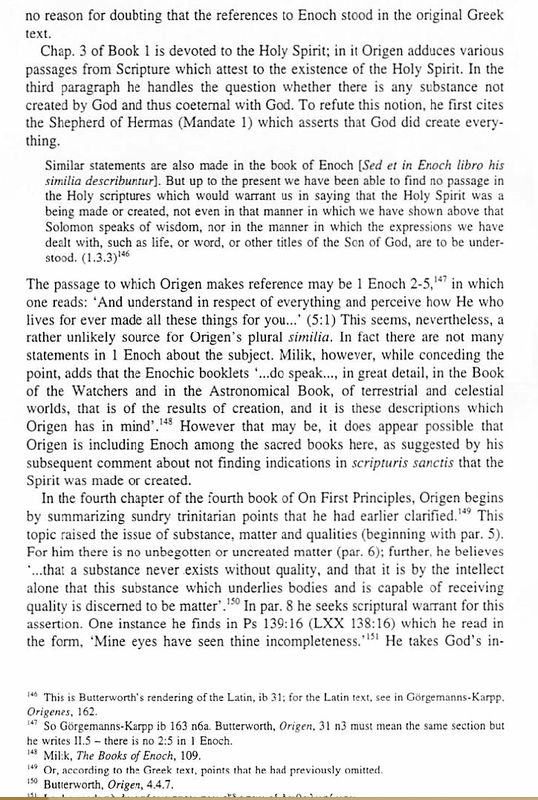 This is patently obvious since the comments of Peter and Jude with respect to the Genesis 6 transgression of the divine sons of God includes material not found in Genesis 6 but which is found in Enochian material (and the Mesopotamian context, to boot). 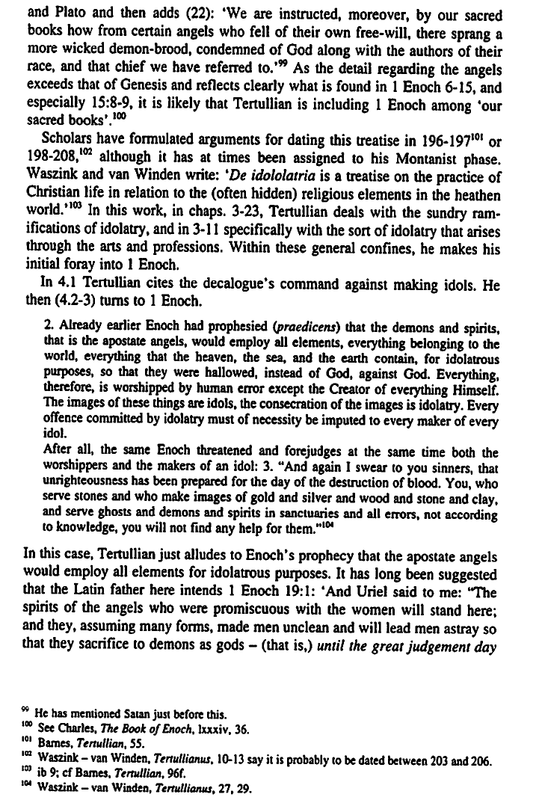 I speak here of the angels that sinned being imprisoned in Tartarus / the Abyss to await eschatological judgment. 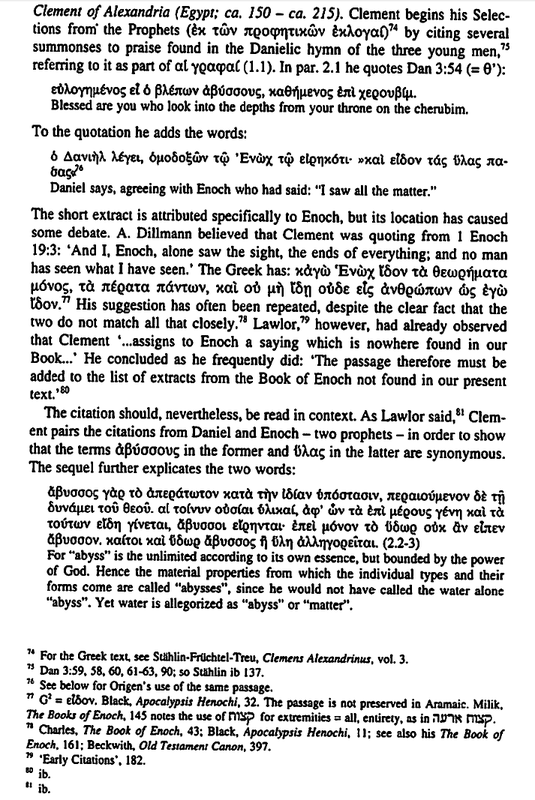 The New Testament text is explicit in this regard, and such references (2 Pet 2:4; Jude 6) are proof positive as to how Peter and Jude (inspired books in all of today’s Christian canons) viewed the Genesis 6:1-4 event. 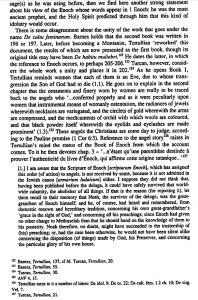 There is no need to hold cited material (or materially that conceptually informed any biblical writer) on the level of those books that all Christian traditions hold as inspired, despite disagreement on other books. Rather, we ought to be reading the material that informed them whether we think it inspired or not, as it helps us follow their thinking and fosters more accurate interpretation in our own day.